Rootandblossom: Family's Sweet Rolls: Peanut Butter Twists, Cinnamon Rolls, and Cinnamon Bread! 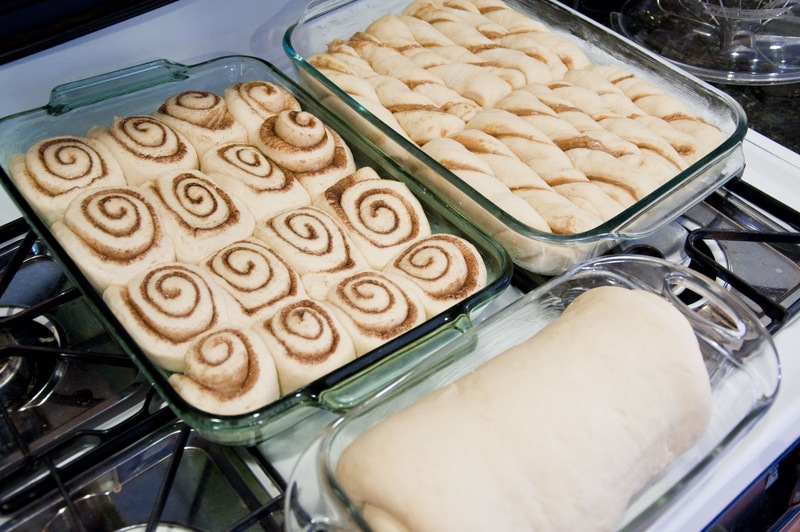 Family's Sweet Rolls: Peanut Butter Twists, Cinnamon Rolls, and Cinnamon Bread! These rolls have been a part of my family as long as I can remember. When I grew up and realized that these were basically just my swedish family's thing, I could hardly believe it. 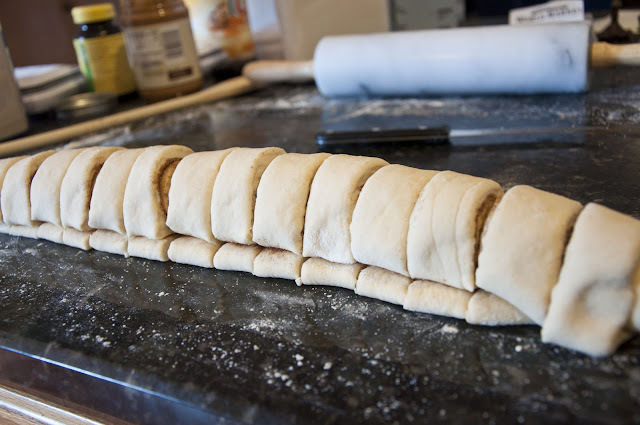 People don't know what peanut butter twists are?! Crazy. So that everyone isn't in the dark anymore about this amazingness, here it is. Enjoy. Place sugar and salt into a mixing bowl. Scold milk. 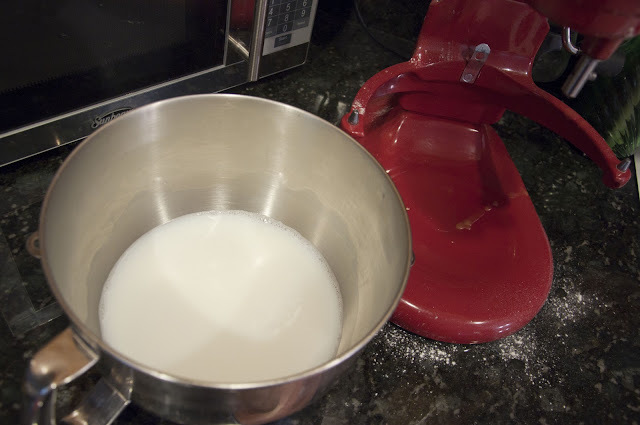 Add milk and water to the mixing bowl. 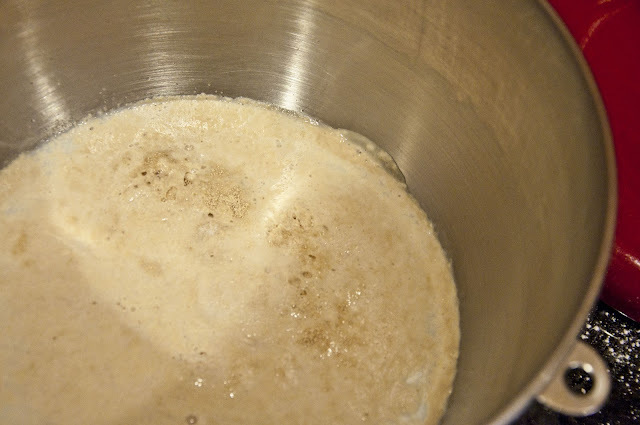 Sprinkle yeast on top once temperature of liquids have cooled but are still a hot warm (feels hot to the touch but not hot enough to be unbearable). Leave untouched until surface looks bubbled (activating yeast). Add 2 beaten eggs, half a cup of melted butter and five cups of flour. 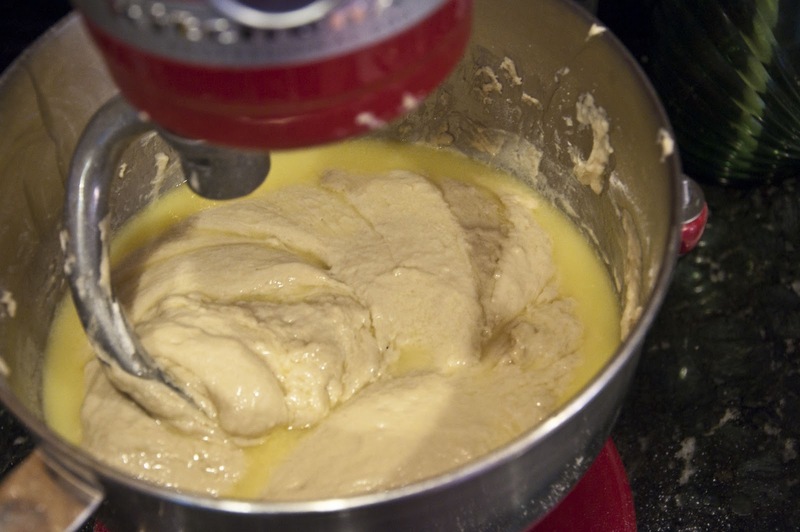 Once mixed add two more cups of flour. Using a rubber scrapper, push back dough from sides of bowl and gradually pour melted butter down the sides of the bowl (all the way around). Knead in three more cups of flour. Grease a second mixing bowl. 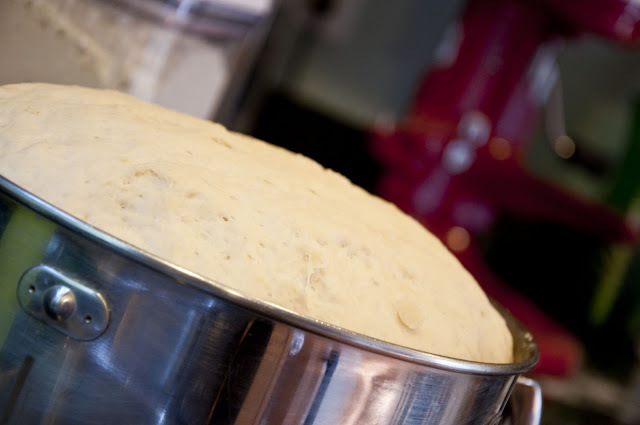 Knead dough until elastic and holds its shape. Transfer to greased mixing bowl, turn over once and cover with a dish clothe. Let the dough raise in a warm place until double. 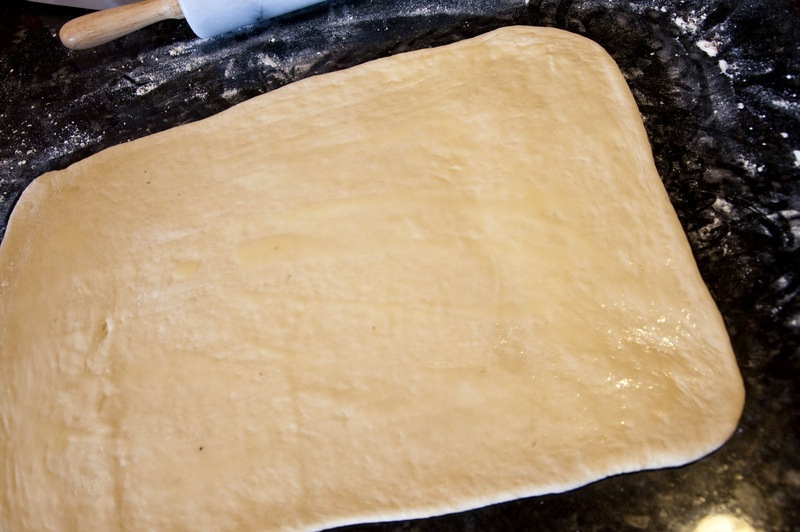 Grease hands with melted crisco, bead down dough. 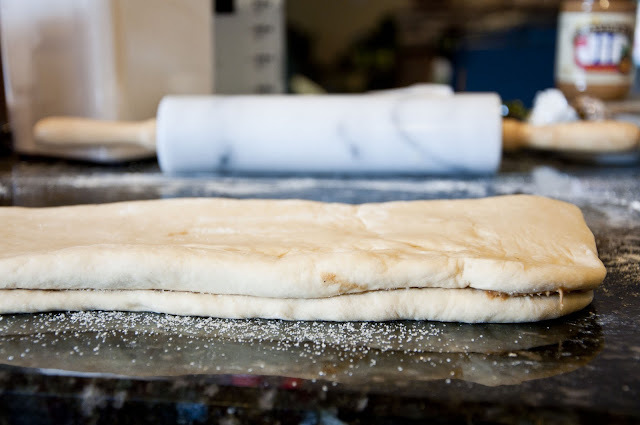 Divide dough into three equal portions. 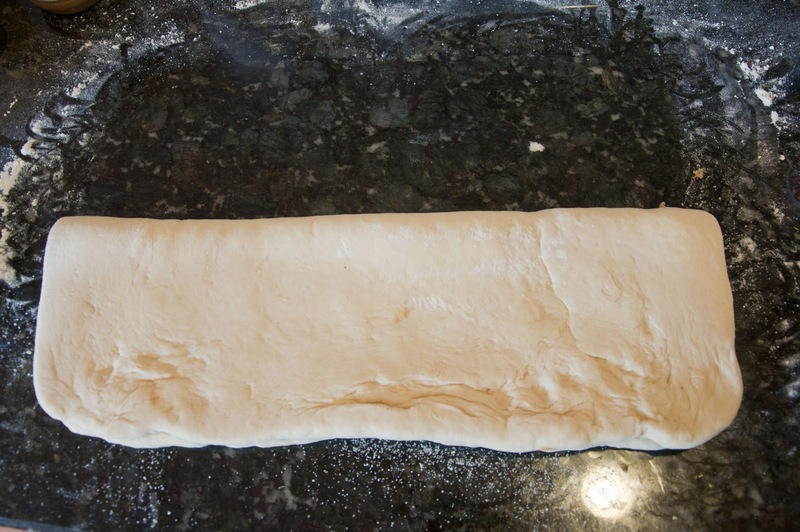 Roll each portion into roughly a 15" by 10" rectangle. 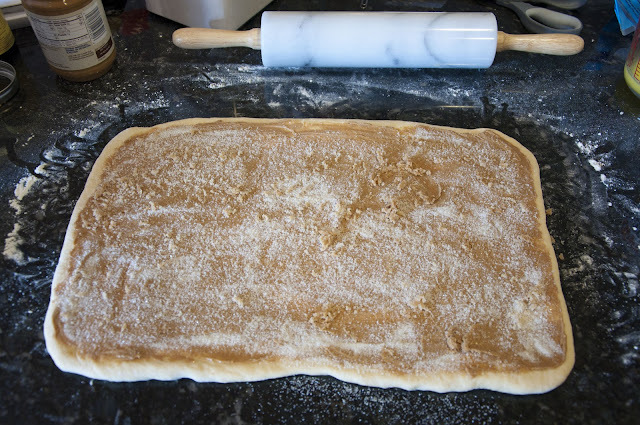 For peanut-butter twists, brush melted butter over entire surface, smear a generous amount of peanut-butter on top of the butter then sprinkle with sugar. Fold dough in half hotdog style. Grab each of the 16 pieces from both ends, twist wrists in opposite directions then place into a greased 9"x16" baking pan. For cinnamon rolls, roll dough out into another 15"x10" rectangle, brush with butter than sprinkle with a generous cinnamon and sugar mixture. Roll up long way jelly-roll style. 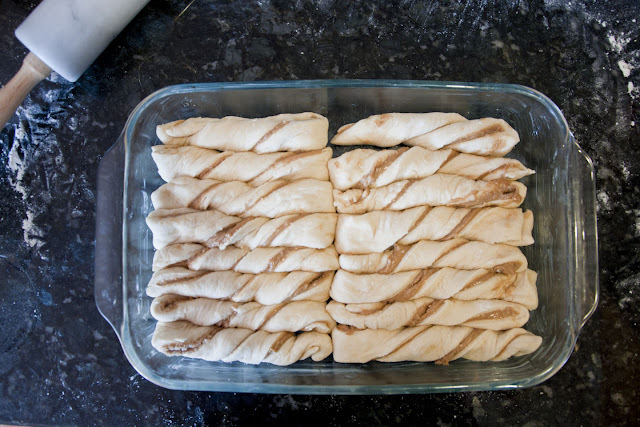 Cut into portions like the peanut-butter twists (16). 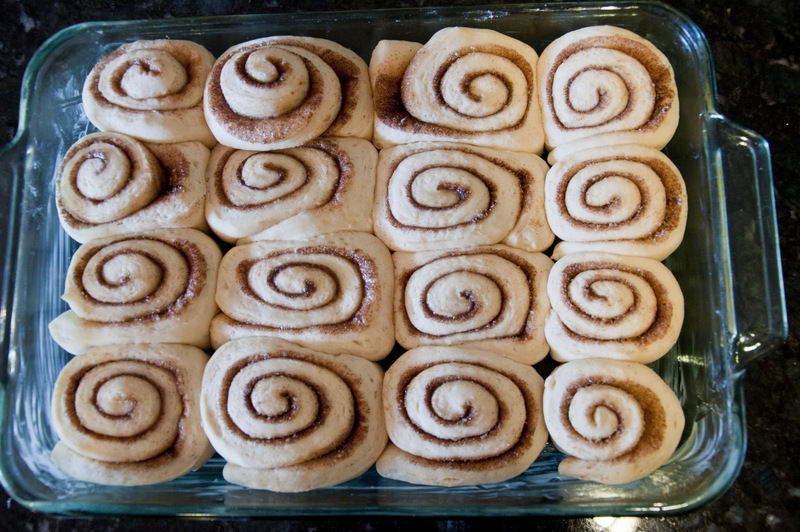 Place in a greased 9"x16" baking pan. 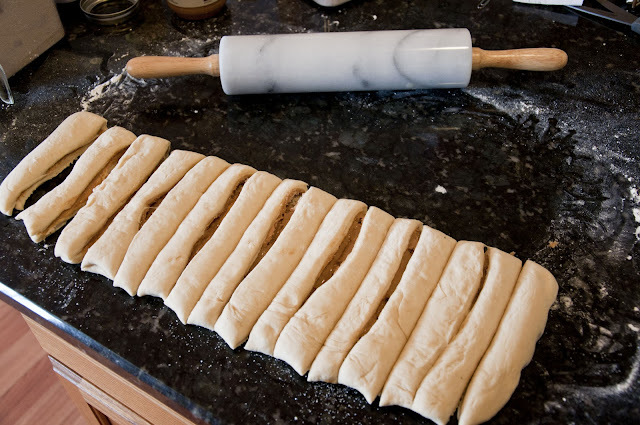 With the third portion of dough, roll out dough to have the width match the length of a bread pan and the length long enough to roll up jelly-roll style a few times. 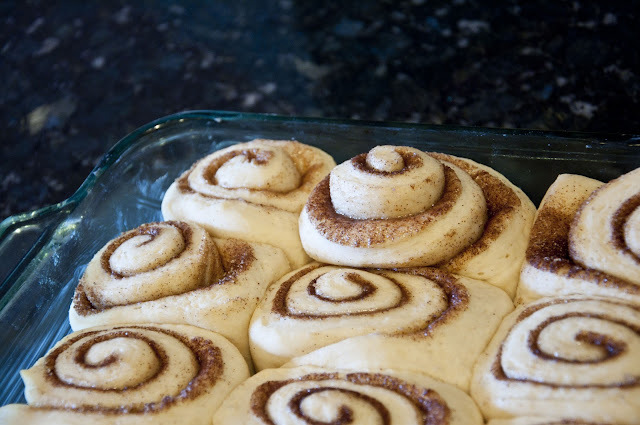 Brush dough with melted butter and sprinkle with cinnamon sugar. 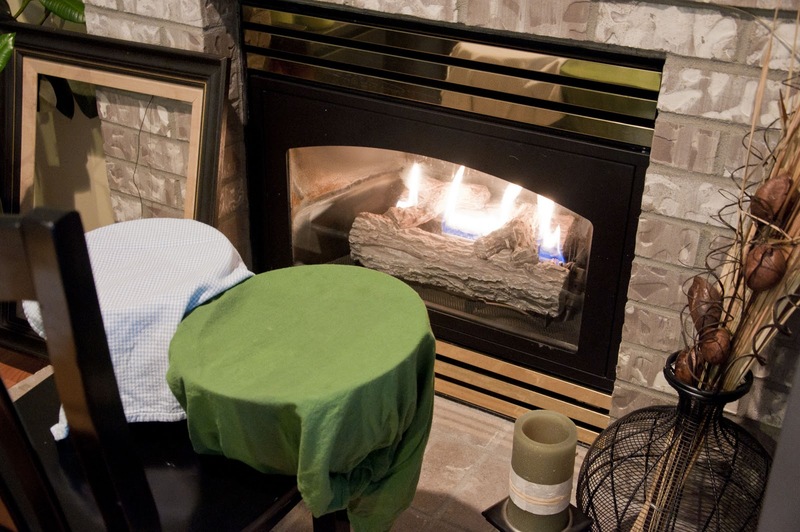 Roll up and place in a greased bread pan. Cover pans and let rolls/bread rise till double. Bake at 350' for 25-30 minutes. After cooled, drizzle with a powder sugar icing (couple cups of powdered sugar with a touch of water).